You have to travel a long way from the UK for guaranteed sunshine in February. Long haul for the sake of the weather doesn’t really sit well with me but it’s surprising how easily long months of winter gloom can change ones mind. Imagine flying a seemingly endless distance to the coast of Mozambique in south east Africa. 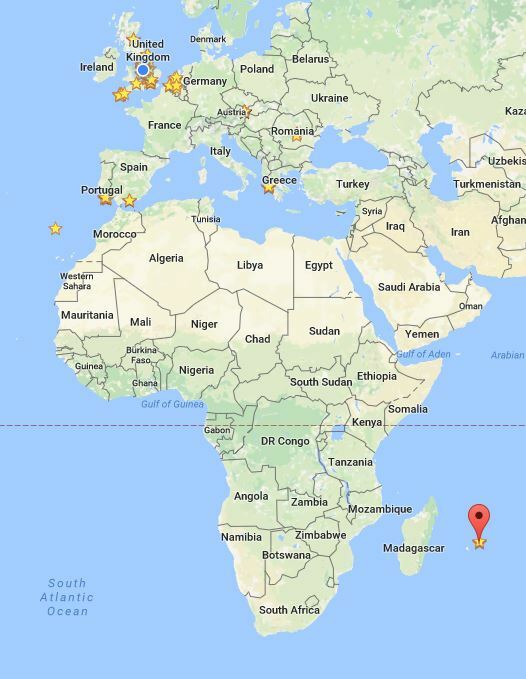 Then continue for another 1000 miles out to sea with only the land mass of Madagascar briefly interrupting your view before touching down on the island of Mauritius. You might expect such a remote destination to be short on narrative yet Mauritius has plenty of character and much to call its own. The Dutch were the first to set up base on the desolate island in the 17th century, treating it as a military outpost and naming it after their nobility. After they abandoned the island the French grabbed it for their own before the British came along and took Mauritius by force. Throw in the slaves shipped in from Africa and the Indian immigrants who came to work following the abolition of slavery in 1835 and you have a lot of human diversity on an island that was uninhabited only 200 years earlier. Today you can (and should) visit a Rum distillery. Sugarcane is not native to the islands but was brought in by the colonisers in order to produce Rum which was a principle factor in keeping sailors happy and navies running. Now sugarcane seems to grow on every exposed patch of land. 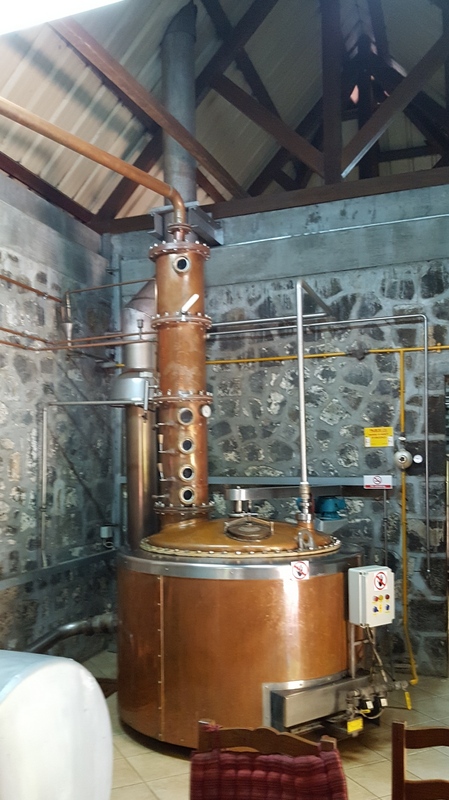 For a long time the distilleries were producing low grade Rum for naval distribution alone but now (some) Mauritian Rum is held in high esteem. Needless to say I tried every single variety on my factory visit in order to honour this important industry. Another agricultural mainstay, tea, thrives in the southern region with its stable growing conditions. The British were predictably in charge at this point. 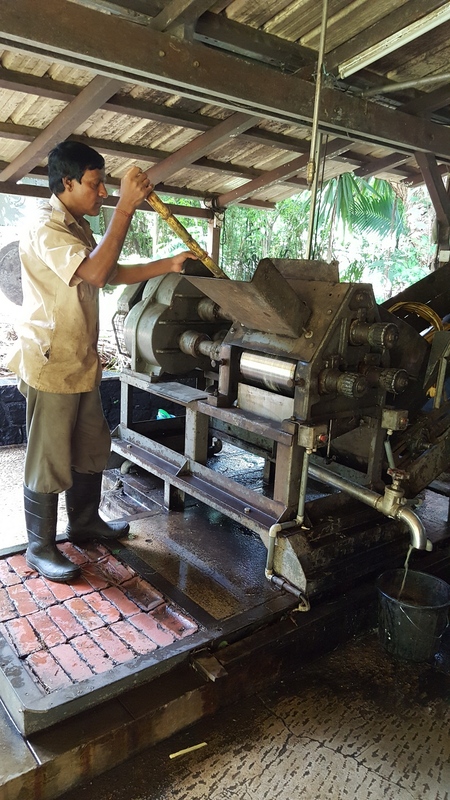 A trip to the Bois Cheri tea factory is well worth it. Even before I arrived the sight of hunched labourers hand-picking leaves in the plantations was quite an eye opener. This must be such a physically demanding job. 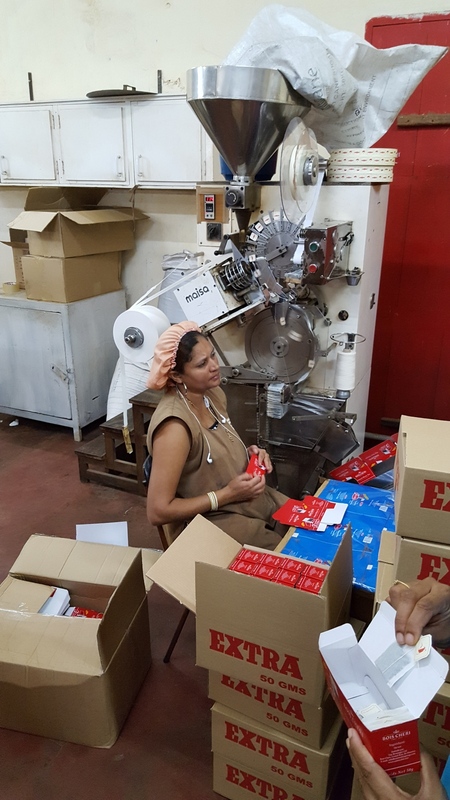 The factory tour, following production from leaf to sealed box, provides an assault to the senses. You have the sea of green leaves as they are hauled around the building. There’s the not unpleasant smell of unprocessed tea leaves which no doubt loses it’s appeal after a few work shifts. You have the heat of the ovens used for – I’m not sure what, because the sheer racket of the manufacturing machinery drowned out the voice of the tour guide. You couldn’t describe the facilities here as state of the art. Much of machinery appeared to date from the 50’s and there is still a high reliance on manual labour. The tour ends at a café balcony where you can try a dozen varieties of tea while admiring grand lakeside views of the plantation. When you consider the physical barriers to visiting Mauritius and the fact that island does very well out of agriculture and services it’s no surprise that the booming tourism industry is selectively geared toward those seeking a high end luxury experience. The snorkelling might not rival that of the “neighbouring” Maldives but a coral reef that encircles the island creates a 300m apron of warm shallow water – perfect for watersports. 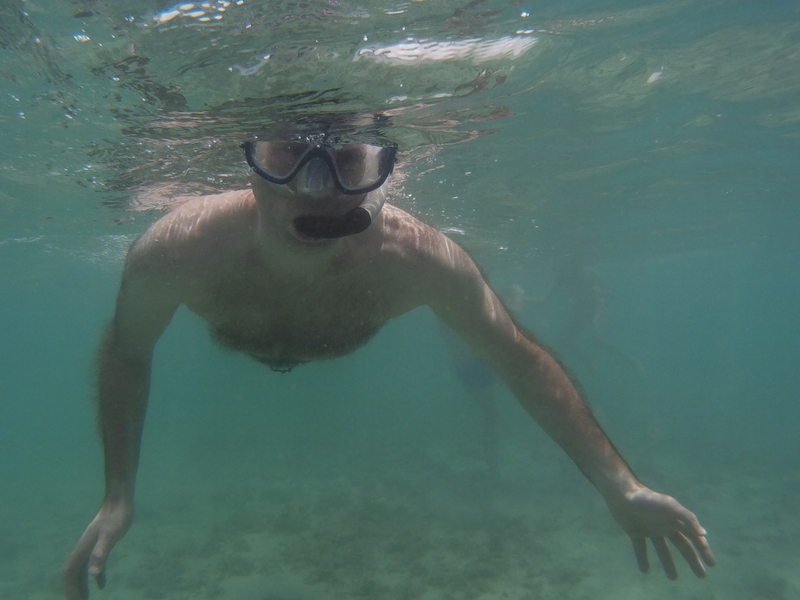 I safely enjoyed snorkelling and kayaking, with the only danger coming at the hands of a pedalo that would only turn right. A GPS trace of my route would have looked like a drunk bumble bee. That said you wouldn’t want to try and swim across the reef. The rest of your life would look something like: Get sliced to pieces on coral; Be mauled to death by sharks; Sink to the bottom of a very deep sea trench. Fortunately there are Catamarans and sea planes for those wanting to venture further from shore. Of course tourism these days isn’t just about sitting on a beach. People visit for a variety of reasons and nature tourism is a growth area. You only have to look out at the palm fronds to catch the wildlife bug. I fell in love with the vivid red Madagascan Fody – as charismatic as they were colourful. This chap followed a set routine of flight each day between three trees, proudly protecting his territory from any unwanted visitors. The Robin of the island. Another favourite was the Red Whiskered Bulbul with its punky head feathers and tuneful call. Less often seen but commonly heard was the Common Myna – famed for its mimicry. 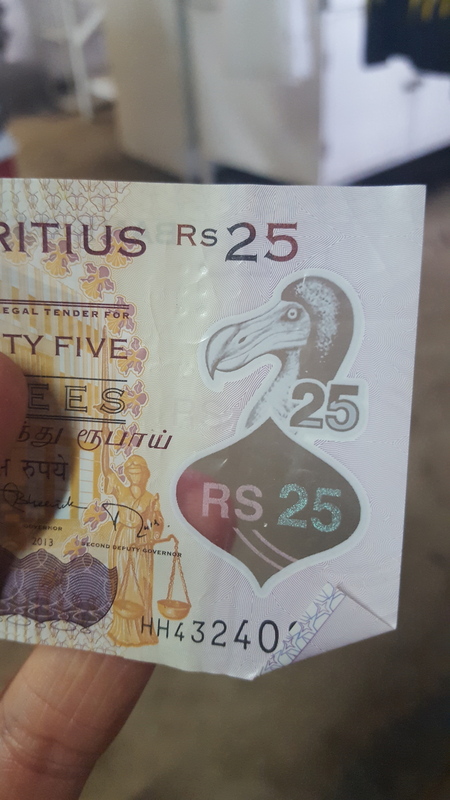 The most famous bird of Mauritius, indeed the most ubiquitous icon of Mauritius is omnipresent, despite the fact that it became extinct 350 years ago. 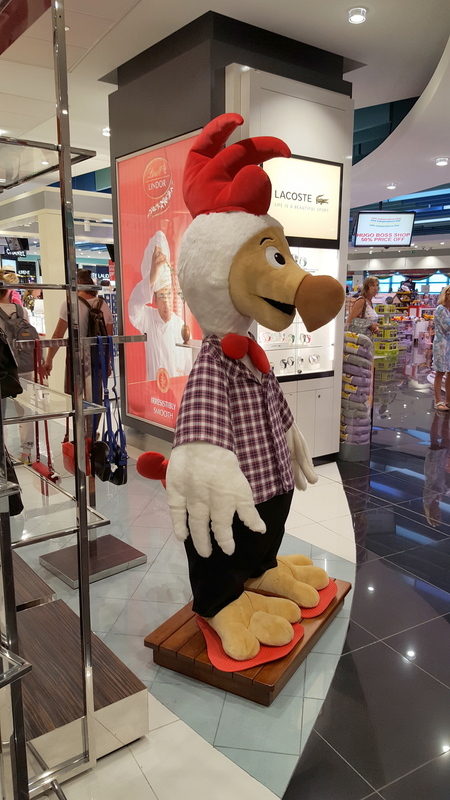 Everybody knows the legend of the Dodo, the flightless bird that was driven to extinction by its first and last predator – man. It’s everywhere. On book covers, T-shirts, postcards and even on bank notes. Another species hunted to the verge of extinction has made a notable and welcome return to these shores. The giant turtle may once have appealed to the hungry settler but now they are drawing in the tourists. Meeting these remarkable creatures was unquestionably the highlight of my time in Mauritius. I was even able to feed them during my trip to the Crocodile park – a curious zoo/eatery where one can view the crocodiles and then eat them at the restaurant. I’m pleased to say giant turtle is no longer on the menu. Ten days on a remote island as a tourist probably doesn’t provide the soundest base for understanding a nation but as ever I just try to interpret what I see and hear. Mauritius has been deemed to be the richest country in Africa. Since I didn’t see any extreme trappings of wealth on my travels around the island I think it’s safe to say that the money is not distributed evenly. All the same I didn’t witness homelessness, begging or overt poverty, which you increasingly observe in Britain. 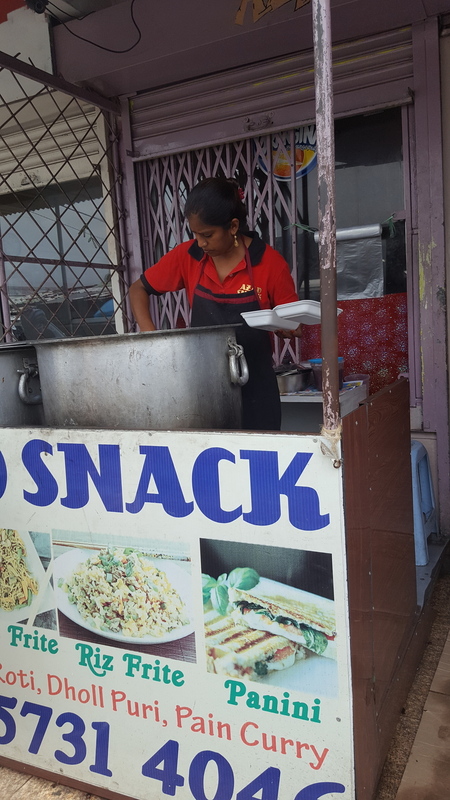 The Mauritians I talked to were hard working and in many cases held down more than one job depending on the season. Schooling is free here and literacy rates have increased above 90%. Children learn English and French (the official languages) while many also speak Creole – a variation of French originally spoken by African slaves brought over to the islands by colonists. There is a University on the island, while some rich families send pay for their children to attend University in Europe. It’s little surprise that most young adults speak at least one more language than me! A bus trip to the nearby town of Goodlands was educational. 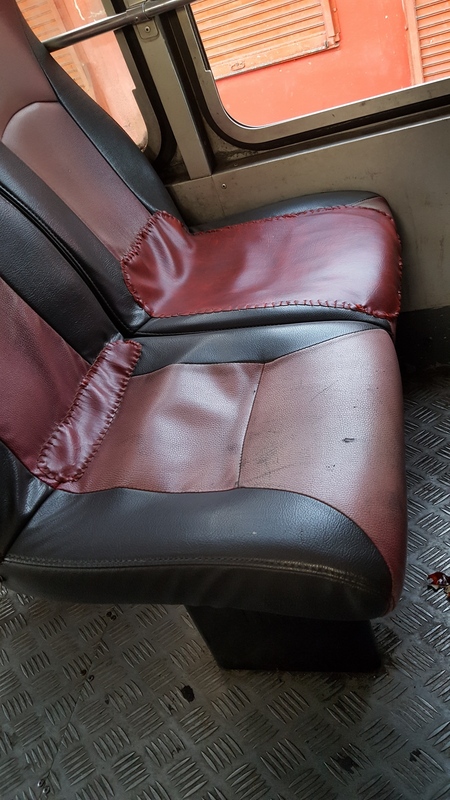 The buses may be ancient but they provide value and entertainment. Every passenger seems to know every other passenger with boarders patting the shoulders of seated friends as they walk the aisle. Smartly dressed ladies converge to share the latest news. All smiles! 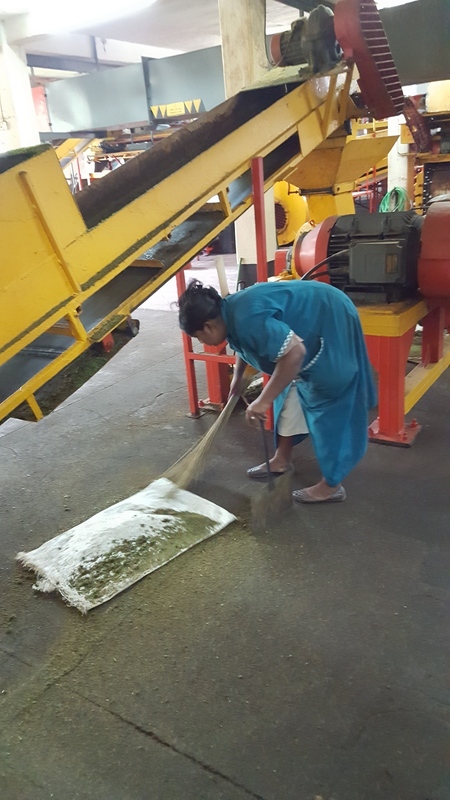 Mauritians take pride in their properties. Even the most humble homes I saw had colourful and well maintained gardens. The market I visited was a considerably hotter version of markets everywhere, with fabric stalls, fast food and fresh fruit. There seemed to be a slower pace here with no pressure to get things done quickly (the heat?) and as an outsider it was an unpressured and friendly experience. On another sweltering day the bus was taking an eternity to arrive so we got a ride in a “share taxi”. These popular taxis will take multiple occupants to the same destination for a fixed fee so you end up paying a low amount with whoever else jumps into the cab. I loved the social aspect of ride sharing and it was heartening to see the devotion this driver had for his clapped out vehicle – his means of income. Unusually for me I haven’t droned on about food yet. Tropical fruit is part of the Mauritian diet. Pineapples and coconuts were in plentiful supply but we missed out on apricots and avocados – it wasn’t the season. Fish is another obvious staple. I read that at many coastal villages there is a man who meets fisherman as they return to shore and negotiates a price for the catch, which is then sold on to the public and restaurateurs. This man is known as a Banyan because he waits under a banyan tree for shade! 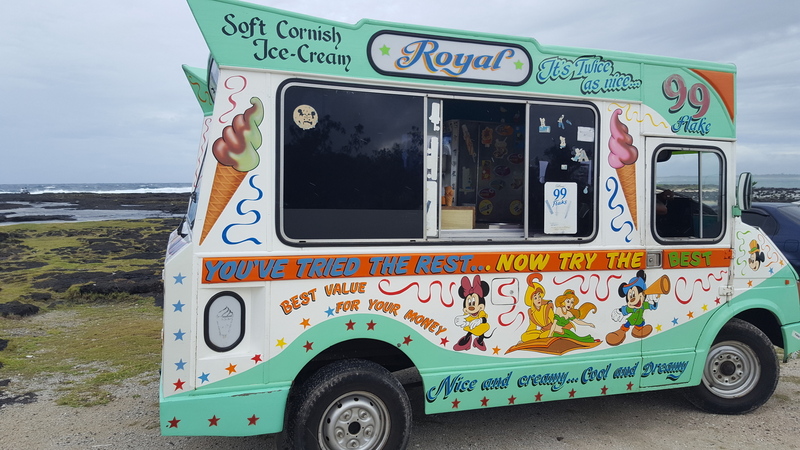 It’s not clear how much of this is anecdotal but I did witness a fisherman selling a sizeable marlin onto a man, who I nosily followed to a car park where the haul was put on ice ready for a delivery. The scales may be electric and the Banyan man waits in the shade of a bar rather than a tree but the tradition seems to live on. You could look at the history of Mauritius and conclude that this was a nation of division. Successive colonisers have plundered the islands resources, subjugated Africans as slaves and made fortunes off the backs of low paid immigrants. Even today you can question the financial equality of islanders, the richest of whom may call Mauritius home purely for tax reasons. 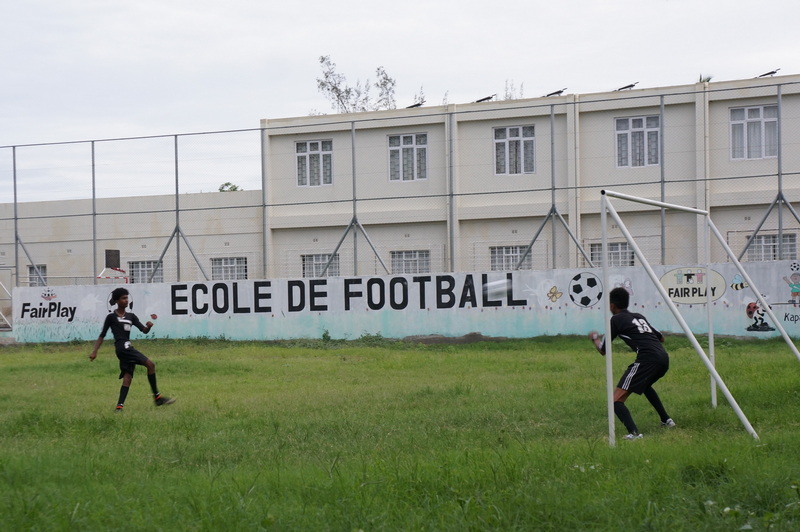 The Mauritius I witnessed felt like a much more inclusive nation, confident in its values and looking to the future. People work hard but they are supported by the state and by their communities. There is education and opportunity for young people. 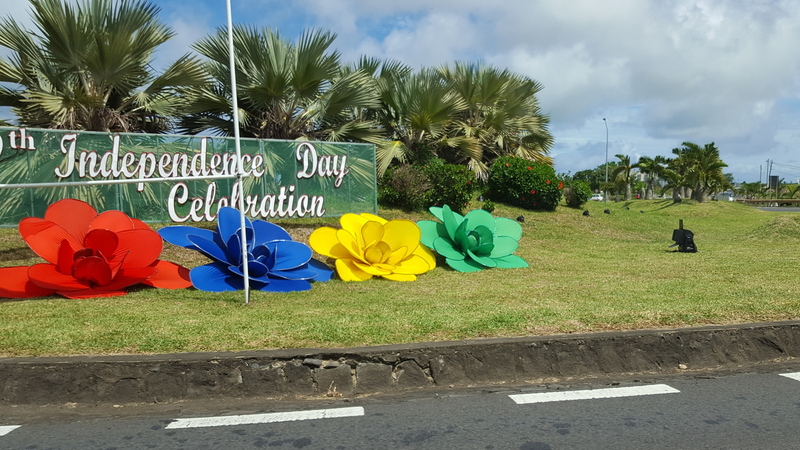 The last day of my visit happened to be the 49th Independence Day of Mauritius. I was taken with how this day was being embraced by islanders who wanted to celebrate their nation. 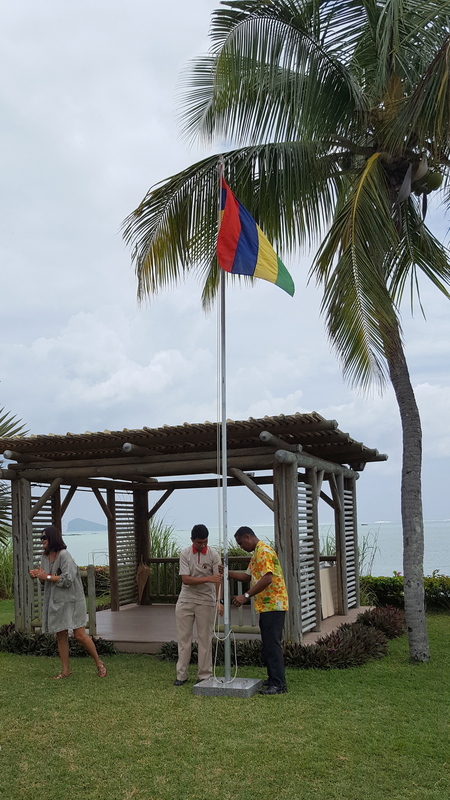 At a flag raising ceremony at my hotel the staff sang the national anthem and guests were told how the national flag colours represented the struggle for freedom (Red), the Indian Ocean (blue), the light of independence (Yellow) and the agriculture of Mauritius (Green). The descendents of today’s inhabitants came from Africa, India and Europe to live on this remote African outcrop in the Indian ocean. Islanders know their history and acknowledge a tangled and tumultuous past but unite behind a new shared identity of Mauritius. I’m lucky to have witnessed the birthday of a nation. And to have eaten a slice of its cake. Too much information? The good news is that if you want to come just to sit on the beach drinking cocktails it’s great for that too.